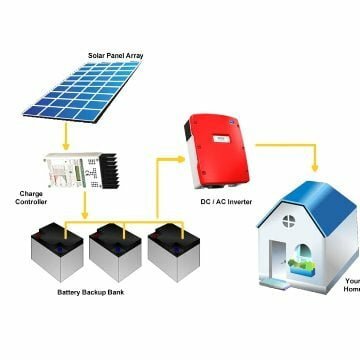 "Top-5 Off-Grid Solar System Brands in India are 1. LUMINOUS Solar, 2. SUKAM Solar, 3. HAVELLS Solar, 4. MICROTEK Solar, 5. EXIDE Solar." 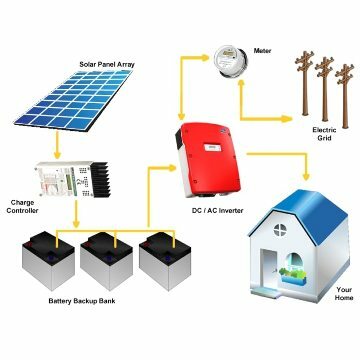 • What is On-Grid & Hybrid Solar System? • Which Type of Solar System will be suitable for your home? 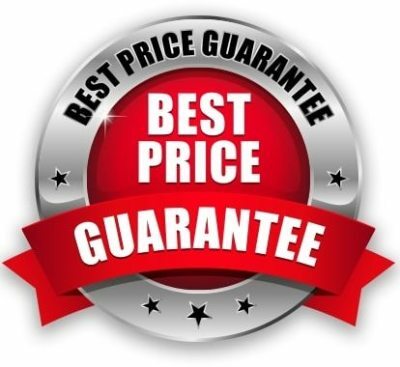 "If you want to reduce your electricity bill only, you should go for On-Grid System". 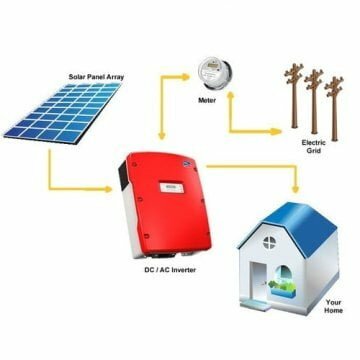 These are the complete Solar COMBOs with Solar Panels, Solar Inverter, Solar Battery, Structure, Complete Accessories to run your basic load of your home, business, school etc. 3. No. of Panels 4 Nos. 5. Solar Batteries (150 Ah X 12 V) 2 Nos. 6. Space required 8 sqm. Next Day Delivery in Delhi NCR. Within 3 Days All Cities of India. 3. No. of Panels 8 Nos. 5. Solar Batteries (150 Ah X 12 V) 4 Nos. 6. Space required 16 sqm. 5. Solar Batteries (150 Ah X 12 V) 8 Nos. 6. Space required 40 sqm. 5 kW off Grid Solar Power Plant. 5kW Solar System Price with Panels, inverter and batteries. 3. No. of Panels 30 Nos. 5. Solar Batteries (150 Ah X 12 V) 15 Nos. 6. Space required 80 Sqm. 10kW Luminous Solar Complete System price with Panels, Inverter and Battery. • Fixed Tilt Angle based.